One for All and All for One! 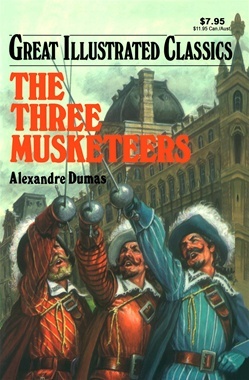 The battle cry of the three musketeers rings aloud in this fantastic tale of adventure and romance. Join the young cadet D'Artagnan, who teams up with the three musketeers - Athos, Porthos, and Aramis - as they struggle to save the Queen's honor and thwart the evil schemes of powerful Cardinal Richelieu and his murderous spies.